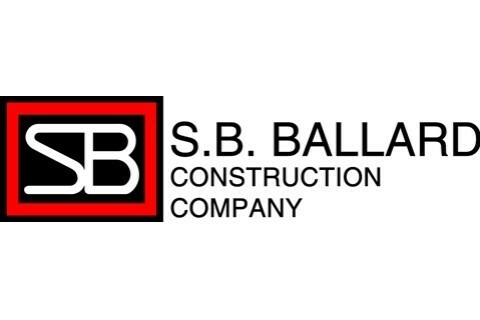 S. B. Ballard Construction Company is a general contracting firm based in Virginia Beach. We offer construction management, design-build, design-bid-build, general contracting, green building/LEED™, pre-construction, P3/PPEA services and virtual design construction to an extensive list of clients throughout the Mid-Atlantic and Southeast. 1. Our people - Our employees are experienced, well-educated professionals dedicated to the success of each and every project. 2. Our integrity - We maintain the highest standards of service and performance, and our clients know they can trust us. 3. Our “three-peat” customers – 82% of our clients have used us for three or more projects. 1. Safety-S.B. Ballard will maintain the safest work conditions and workforce in the industry. 2. Quality-S.B. Ballard will strive to meet or exceed the expectations of our customers in every way possible. 3. Customer Care-S.B. Ballard will develop harmonious and mutually beneficial working relationships with every client. 4. Community-S.B. Ballard will improve the quality of life for those who share our world, improving neighborhoods and communities around us. 5. Education-S.B. Ballard will encourage and support continuing education for our employees and subcontractors with whom we work with on a regular basis.